» Osprey Volt 60 Review – Good Enough for Multi-Day Treks? Osprey Volt 60 Review – Good Enough for Multi-Day Treks? 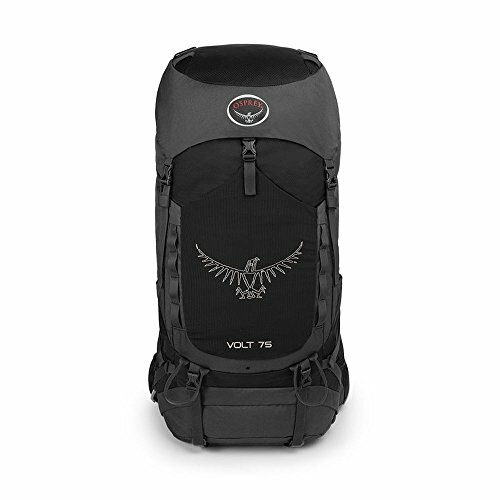 Durable construction, well-planned features, and the high-quality look and feel that has become synonymous with the Osprey brand, the Volt 60 could quickly become your favorite new pack. With ample adjustments, it’s easy to get the perfect fit and with a 60 liter capacity, it is sufficient for all but the longest of adventures. The lightweight design of this pack and its ability to comfortably carry a load over long distances make the Osprey Volt 60 a serious contender in this very competitive marketplace. Like every other Osprey pack we’ve tested, the Volt is extremely comfortable and has no problem carrying a full load. In fact, for only being a 60 liter pack, there is ample space for multi-day excursions. 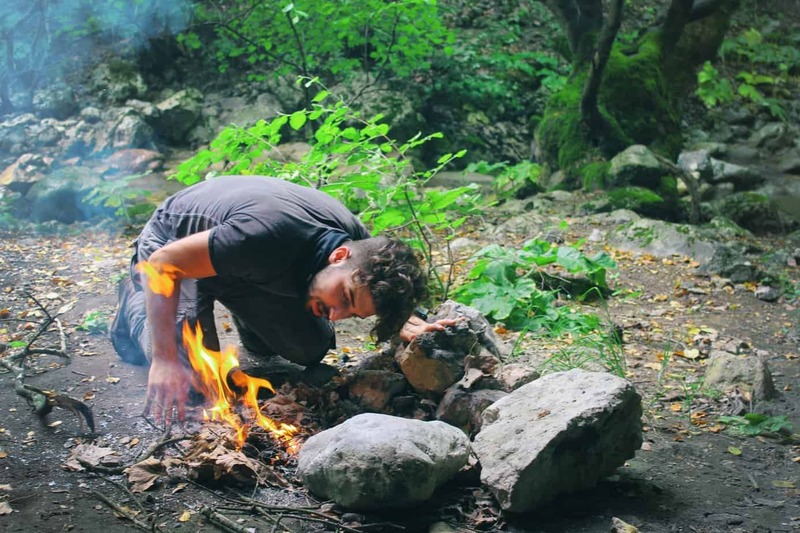 The Volt spec sheet says you should be able to carry enough gear for 2 -5 days in the wilderness but if you don’t mind packing a little light, there is no reason why you couldn’t carry at least a full week’s worth of gear in this versatile pack. There are plenty of strap adjustments to ensure a perfect fit for an assortment of body sizes and shapes. The torso adjustment allows for five inches of adjustment so finding that sweet spot of comfort and balance should be easy for most people. In fact, with that much adjustment in the torso, the Volt 60 is a good choice for younger backpackers as the torso length can be adjusted as he or she grows. The inside of the pack also includes a dedicated sleeping bag compartment that can be accessed from inside the pack or from a large zipper access port on the outside. Straps for a sleeping pad are also included and are positioned in such a way that the pack easily stands on its own when you set it down for a break. A massive top pocket provides ample space for items you may need while on the trail and the zippered design is easy to open and close even when the pack is on your back. The Volt 60 also includes a hydration bladder sleeve that easily held a 3 liter bladder. The bladder was easy to install and remove even when the pack was full of gear – a feat that many packs cannot claim. There is able padding on the shoulder straps and the hip belt, both of which are fully adjustable to ensure a perfect fit. The hip belt also includes two large pockets that can store quite a bit of gear including a small camera, a handheld GPS unit, snacks, and anything else you want to keep within arms’ reach at all times. Other noteworthy features include an ice axe loops, trekking pole storage, and heavy duty side straps to help even out the load and keep everything close to your back while on the trail. For the entry level price, the Osprey Volt 60 delivers a high-quality product that any outdoor enthusiast would be proud to carry out into the wilderness. There is very little to say bad about the performance of the Osprey Volt 60. The pack is extremely well-made, is very comfortable to carry thanks to the ample adjustments and heavily padded straps, and there is enough room in this pack to easily accommodate the gear required for a multi-day excursion. Hikers with smaller waists may find the hip belt adjustment straps to be annoyingly long when properly adjusted. These can be cut or simply tucked into the front pockets of your hiking pants to keep them out of the way. Perhaps the only true complaint about this pack is that the hip belt zippered compartments cannot be closed with one hand due to the angle of the zipper. This really is nothing more than a minor annoyance but accessing these pockets requires stopping and using both hands. Again, a minor inconvenience and probably the only thing ‘wrong’ with this pack. The adjustment straps on this pack are easily accessible while the pack is on your back making it extremely convenient to maintain a perfect fit as the load shifts while on the trail. The side compression straps are robust enough to carry heavier gear such as AT skis and boots which allows for so many additional configurations if you run out of room in the roomy main compartment. 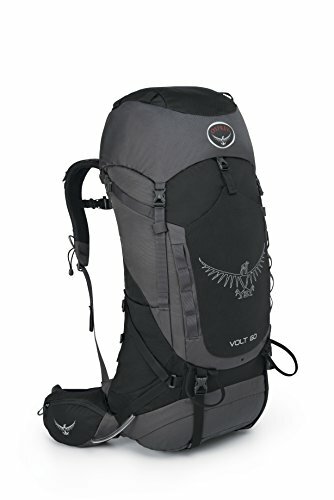 Like all Osprey products, the Volt 60 lives up to the reputation for quality and comfort that you would expect from an Osprey pack and it does so at an affordable price by eliminating many of the “gimmicky” features often found in other packs – features that are often unnecessary and just serve to add weight to the pack. Even with a 45 pound load covering about 15 miles per day during a recent four day excursion, the Osprey Volt 60 remained comfortable and did not have any of the uncomfortable pressure points that are often experienced with lesser quality gear. You really can’t go wrong with this pack from Osprey. The Volt surpasses the expectations of even the pickiest outdoor enthusiasts in terms of style, comfort, and quality. If for some reason 60 liters isn’t enough, Osprey also offers this pack in a 75 liter version. If you can’t fit your gear into the 75 liter pack (or the 60 liter pack in most cases), you probably need to re-evaluate how much gear you are carrying in the first place. As you can see, the positive attributes of this pack significantly outnumber the cons (if you can even consider long hip belt straps a con) and the Osprey Volt 60 is available at a price ($179.99 at the time of this review – check here for latest) that is hard to beat when comparable packs can easily cost twice as much. The bottom line is that if you’re looking for a high-quality backpack that will provide years of reliable service, you can’t go wrong with the Volt 60 from Osprey.